Separate unwanted objects, rocks, and debris while leaving finer material behind with the rock bucket attachment. 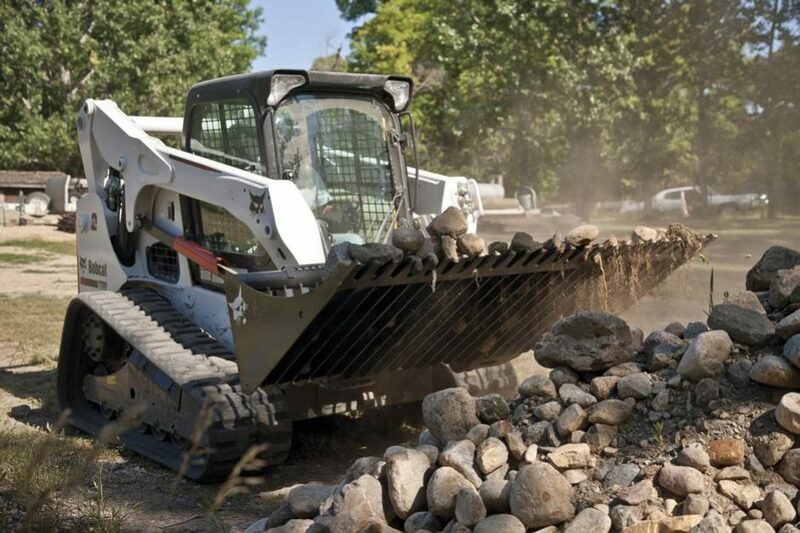 Tines scoop and retain debris while the soil sifts through, helping to easily separate materials on the jobsite. 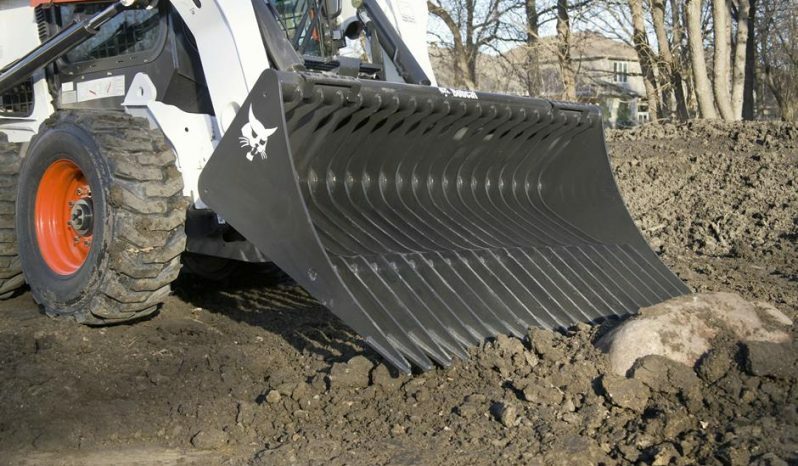 Designed to last in tough working conditions, tines are interconnected to provide strength and durability. The rock bucket is the ideal attachment for contractors, landscapers, and homeowners with acreage. 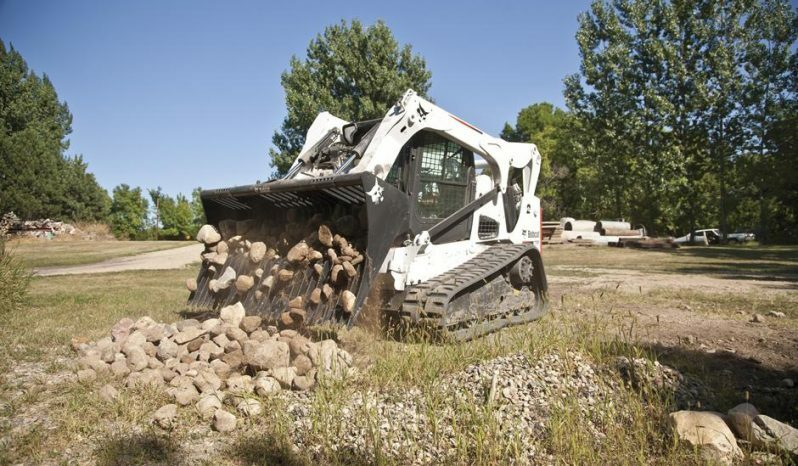 To operate the rock bucket, the tines are submerged below the grade and object. 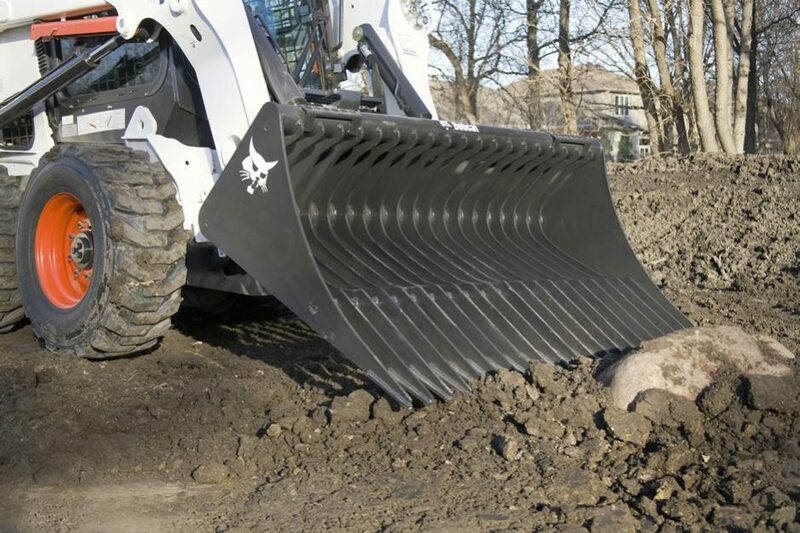 When the bucket is raised back up, the object stays in the bucket while the loose material falls through the tines. 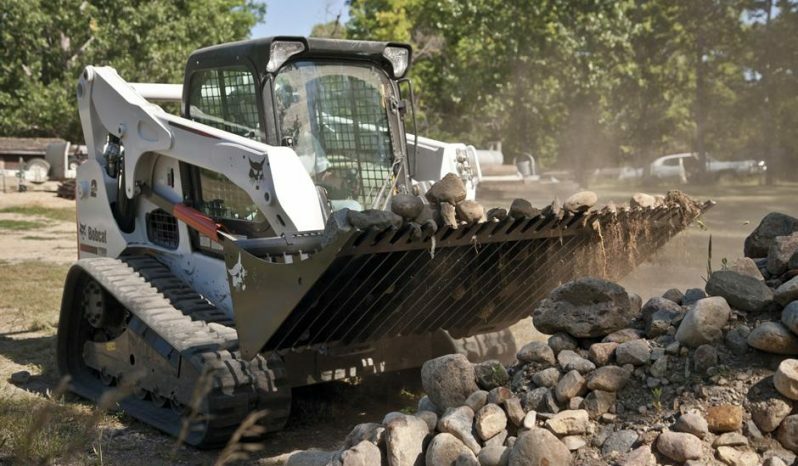 The rock bucket effectively clears the soil surface of vegetation and other debris. 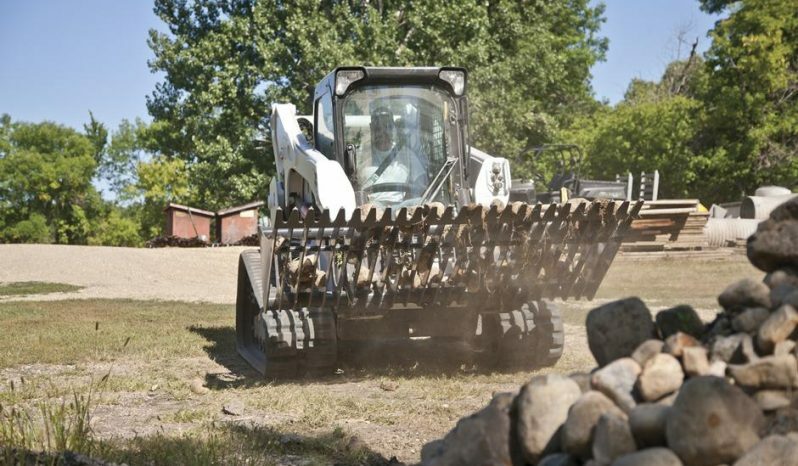 It also pulls objects from below ground. Gusseted Tines: When working in tough conditions, each tine is fully gusseted on both sides for added strength and durability. 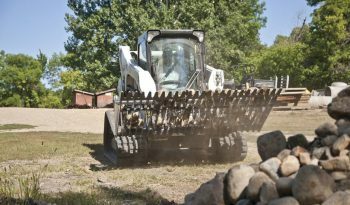 Also, tines are interconnected for additional operating strength. 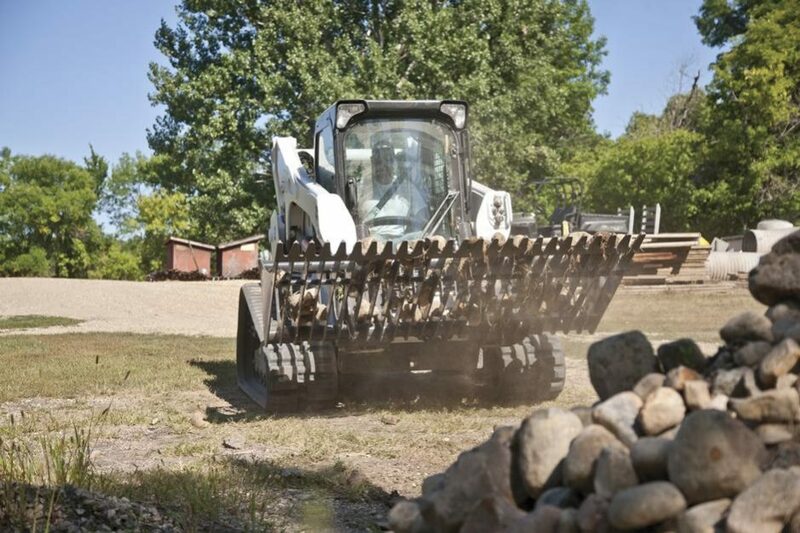 Skeletal Design: Designed for maximum operating performance, the skeletal design of the rock bucket allows the tip of the bucket to always be visible to the operator. Steel Strength: High steel strength, used in all components of the rock bucket design, provides for a more durable attachment design.